The Metal Halide Sportslighter remains the top choice for baseball, football, and soccer fields. 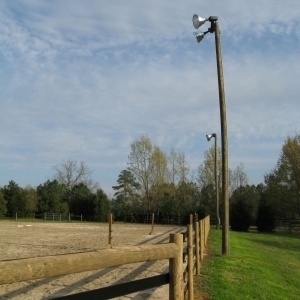 Housed in die cast aluminum, our 1500W fixture makes a great long-term solution for all nighttime sports activities. Ballasts come pre-installed and a thru-bolt is provided for angle crossarm mounting. Pulse start option available upon request.